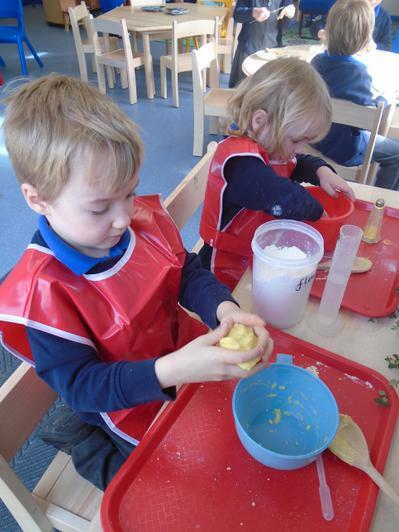 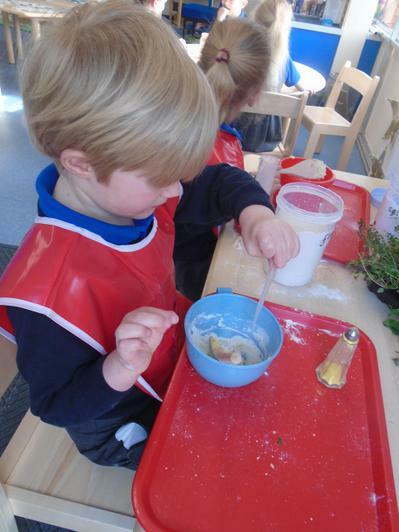 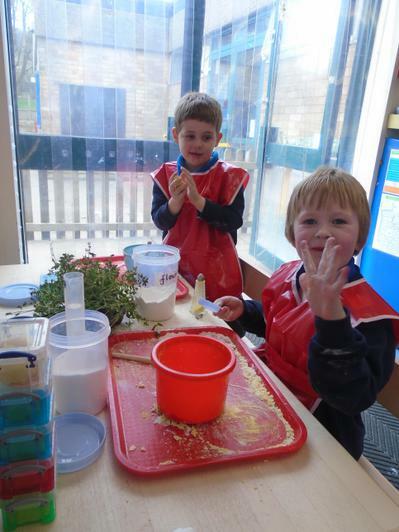 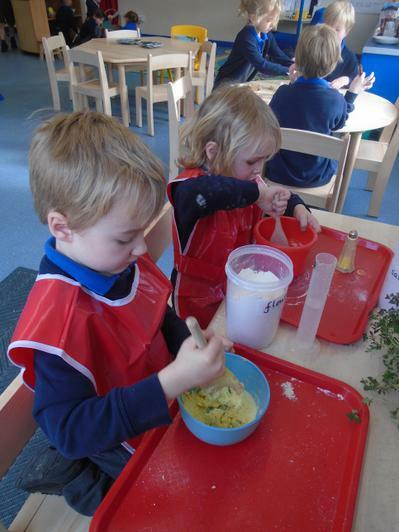 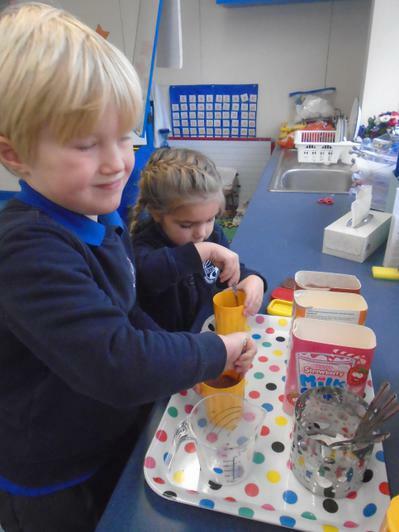 We have been having lots of fun learning about measurements while making our own play dough! 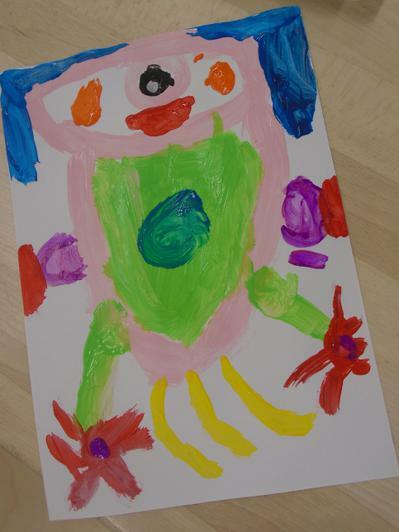 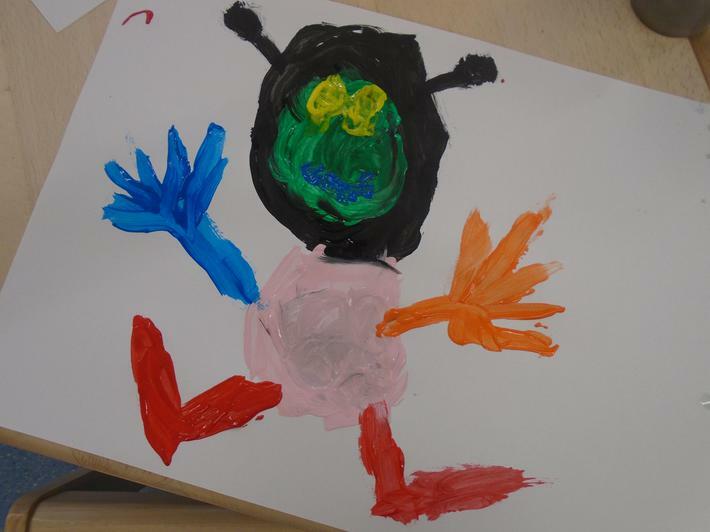 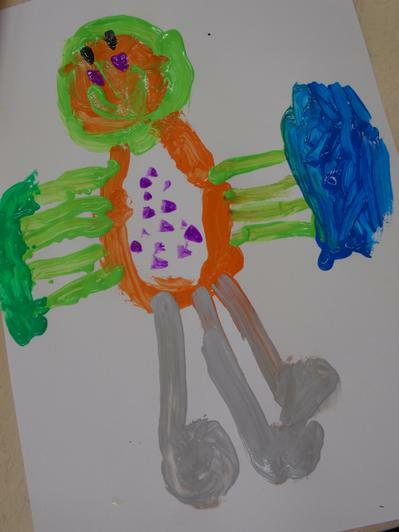 We had a brilliant time today in our 'wonder' lesson wondering what aliens might look like! 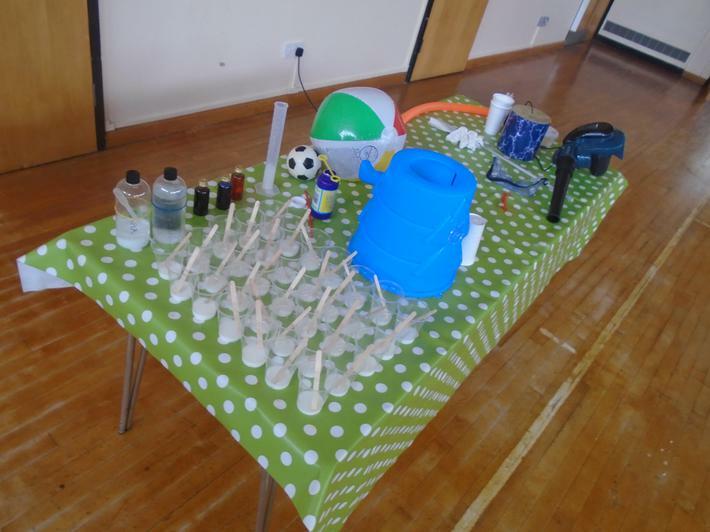 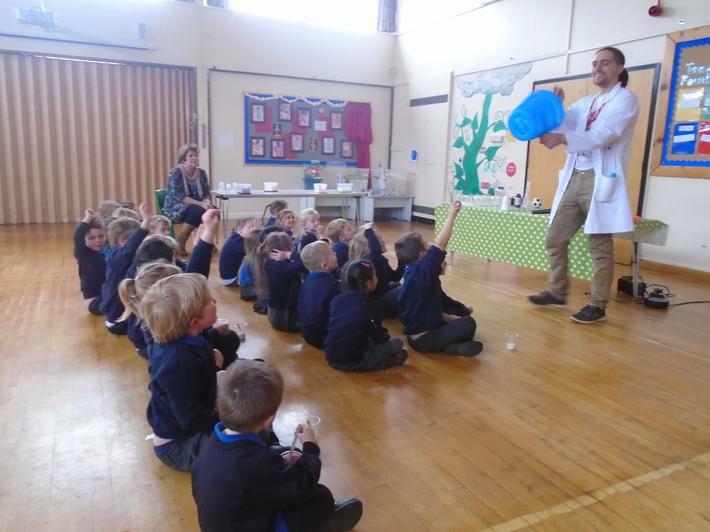 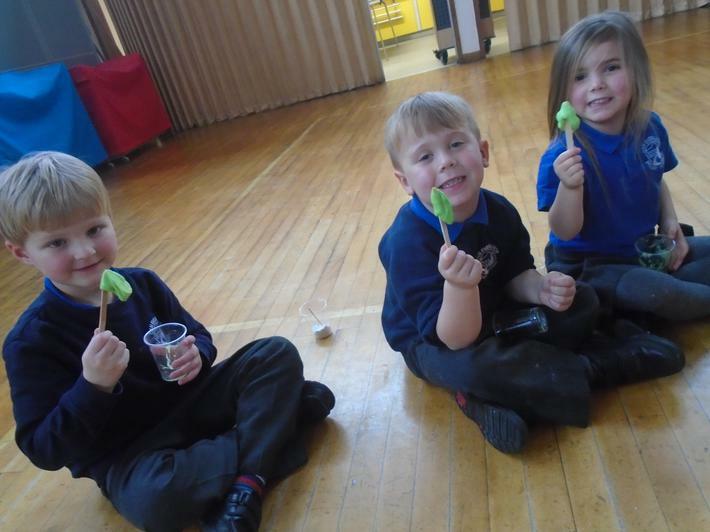 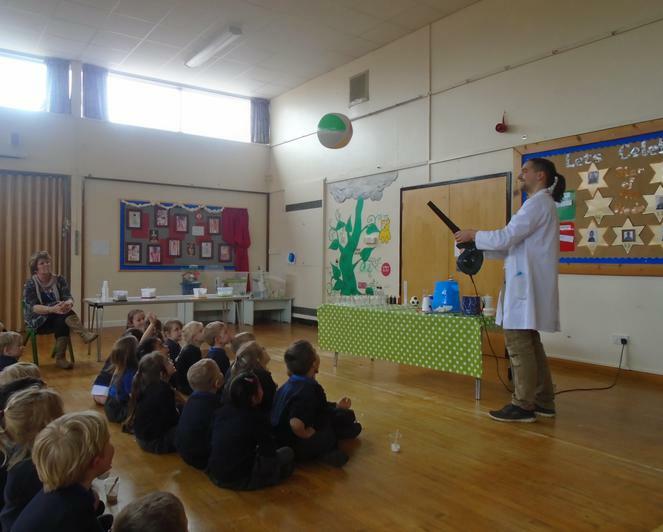 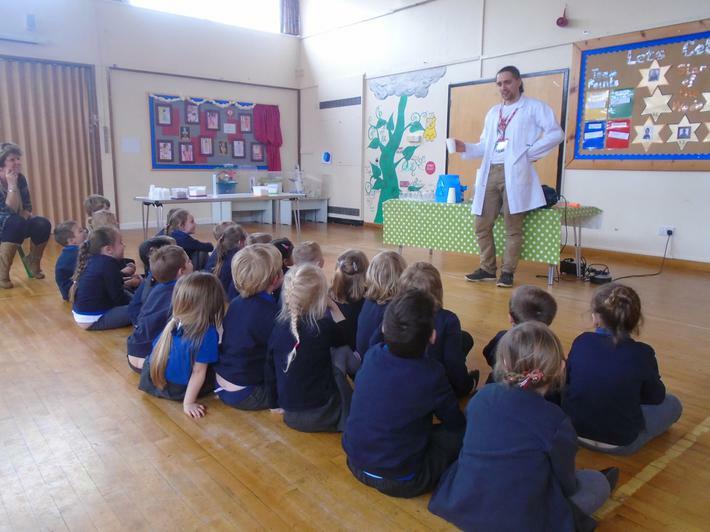 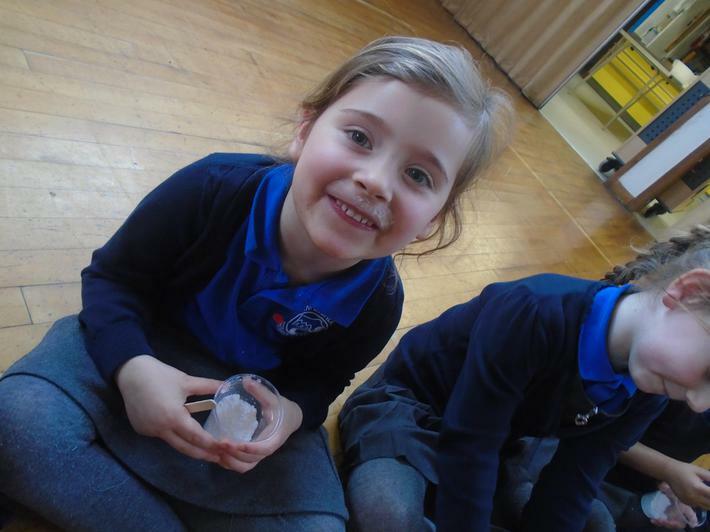 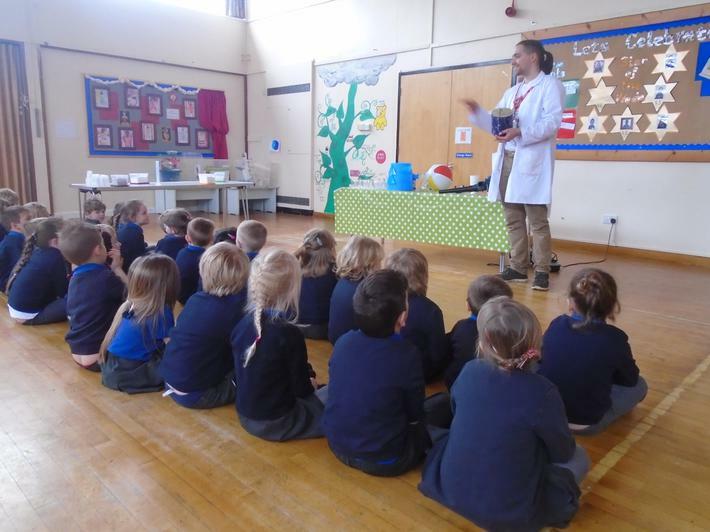 The children learnt how to make alien slime and space dust with the help from Sublime Science! 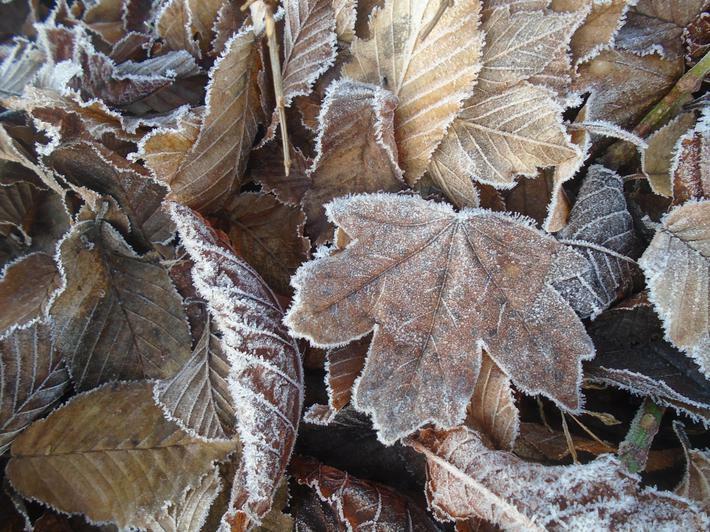 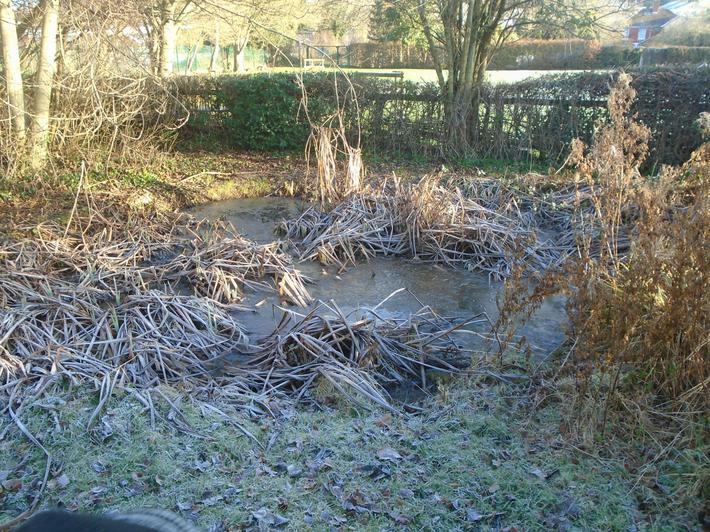 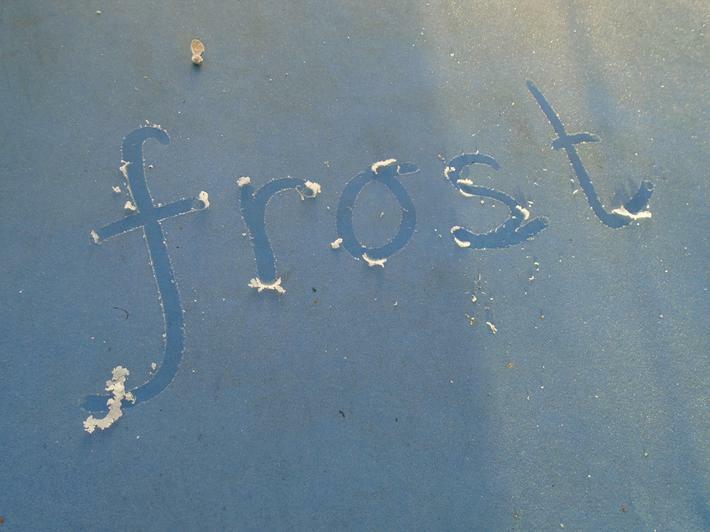 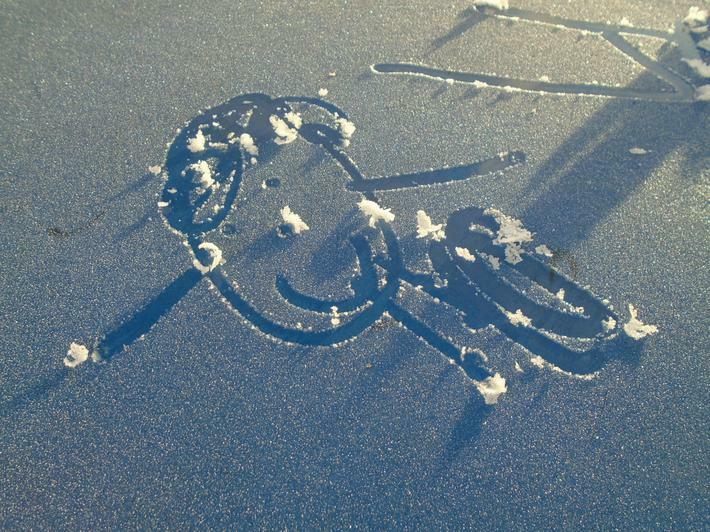 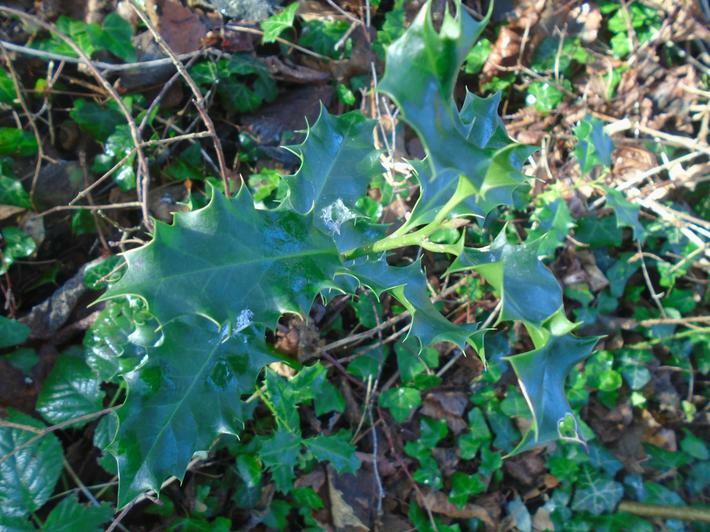 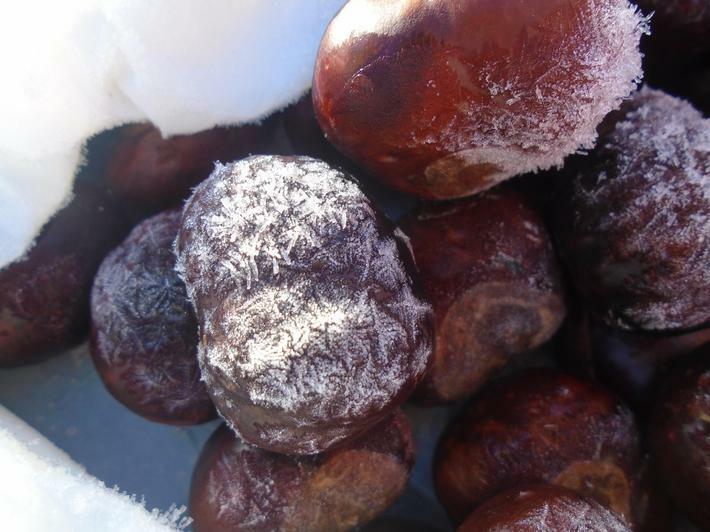 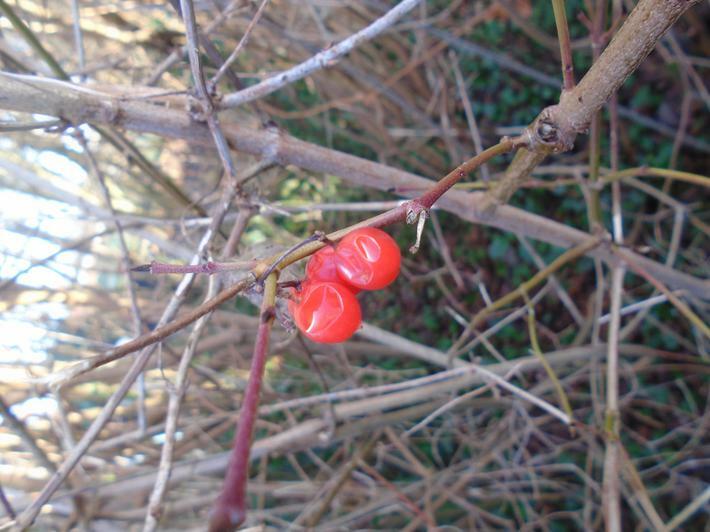 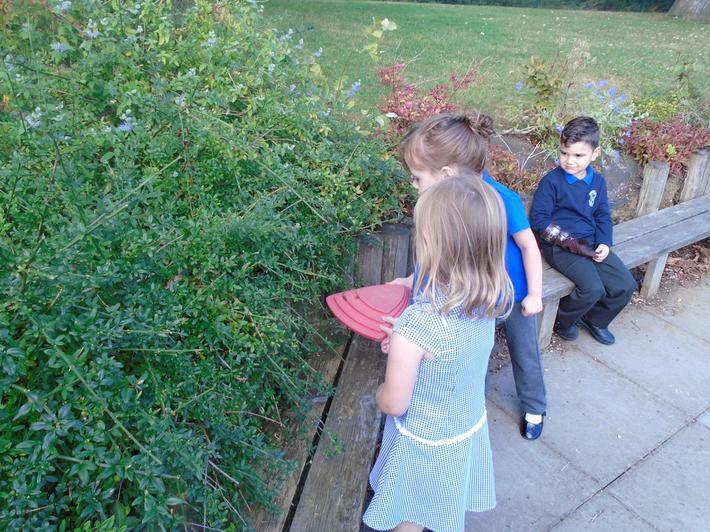 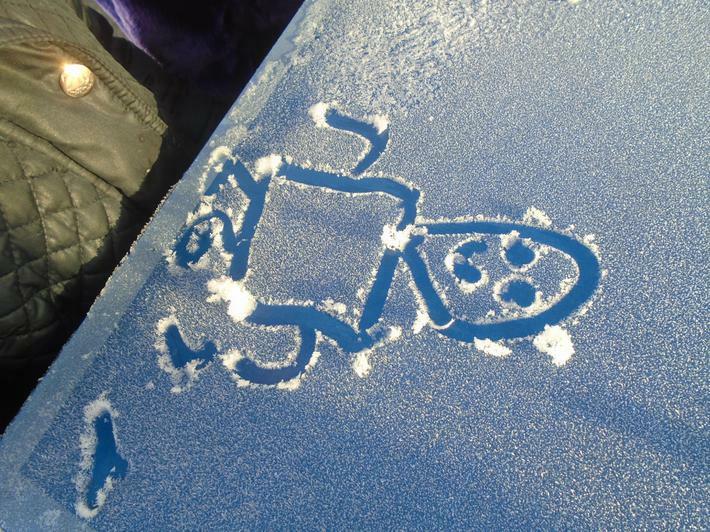 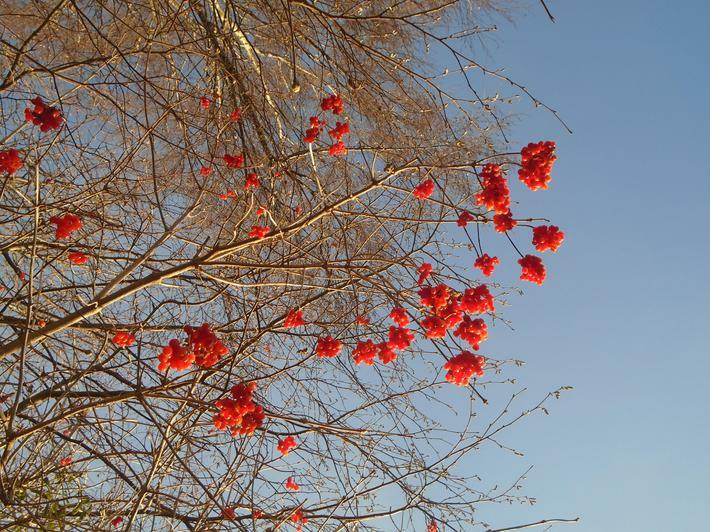 We went on a Jack Frost walk to see the changes in our local environment during colder months of the year. 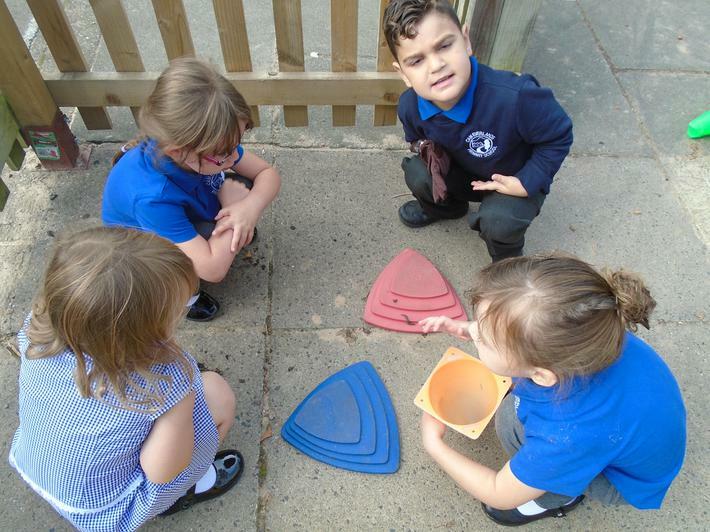 Practical maths! 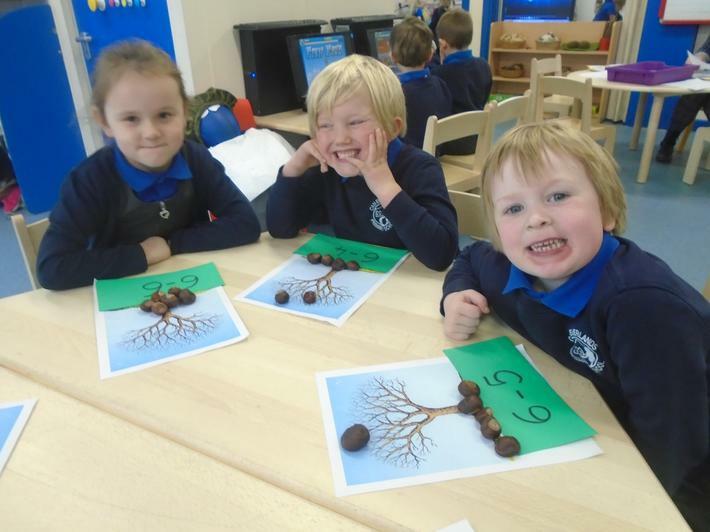 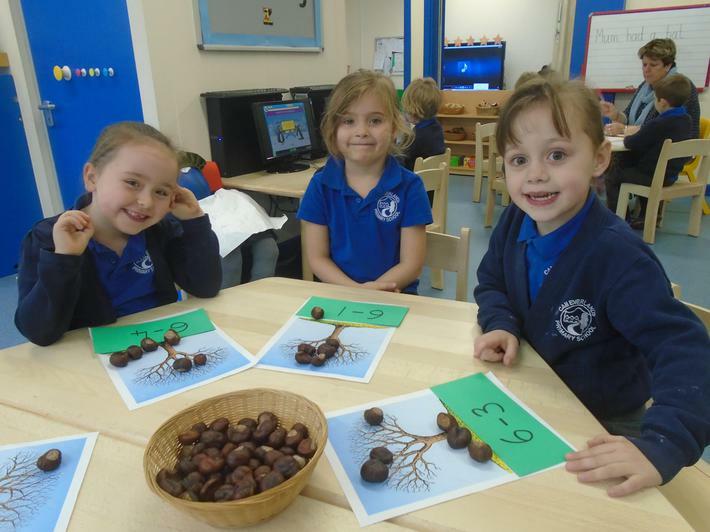 The children have been purposefully using the skills they have learnt this term to make autumn stories about conkers falling off of trees. 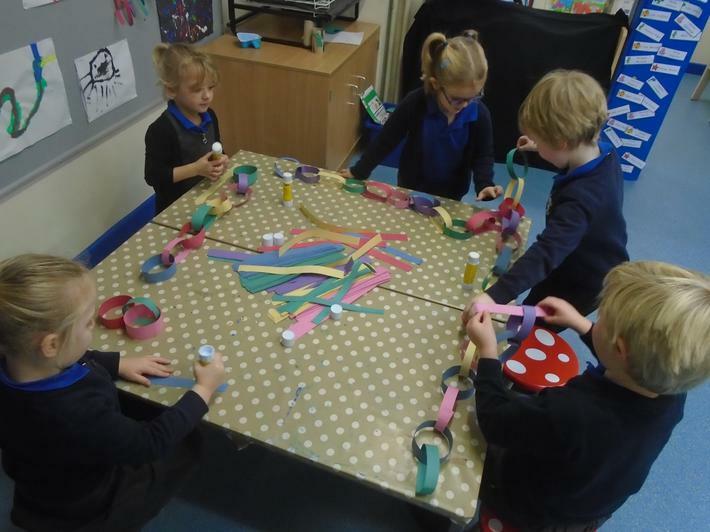 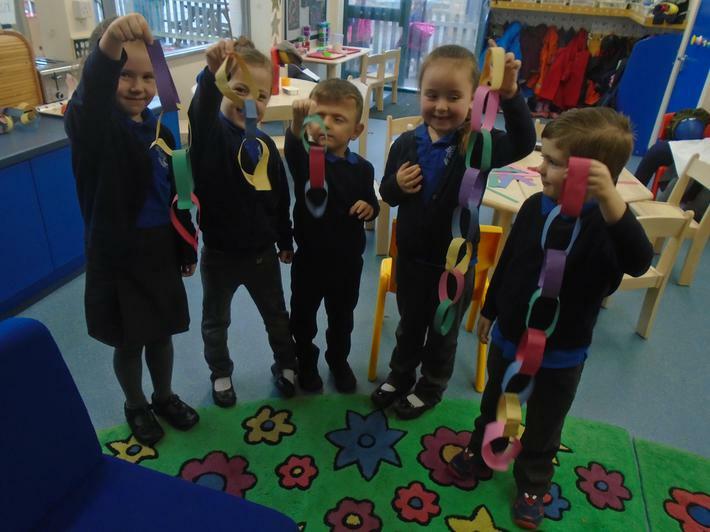 They also used estimation and estimating skills to make paperchains they same height as themselves! 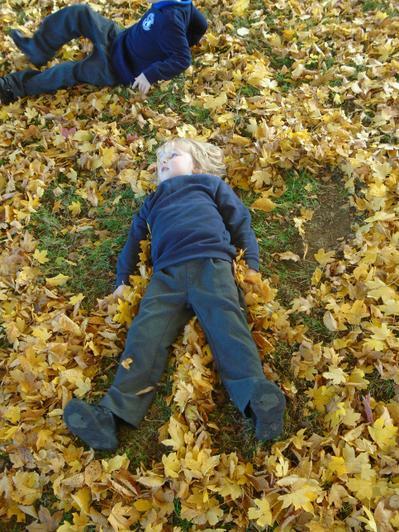 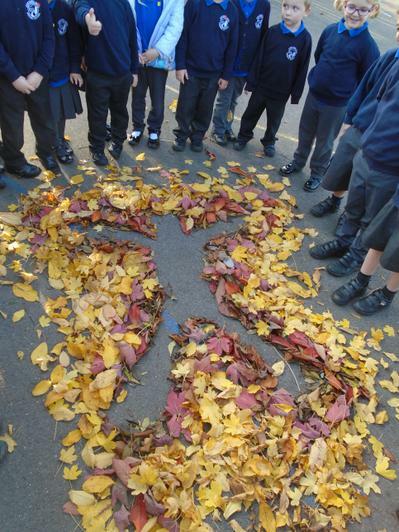 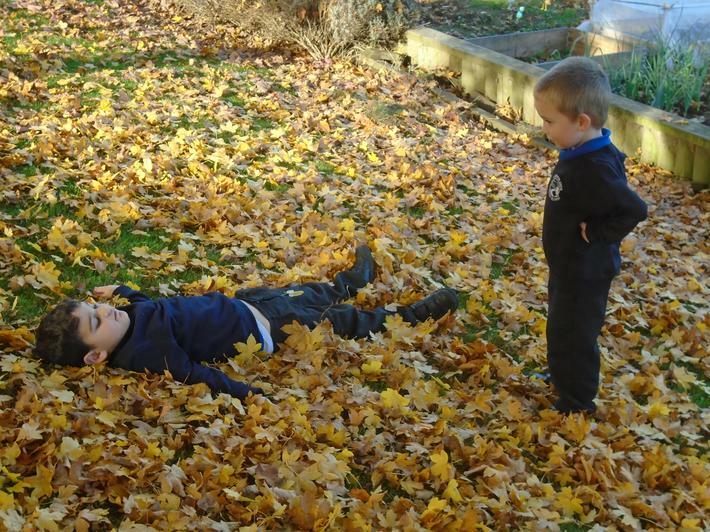 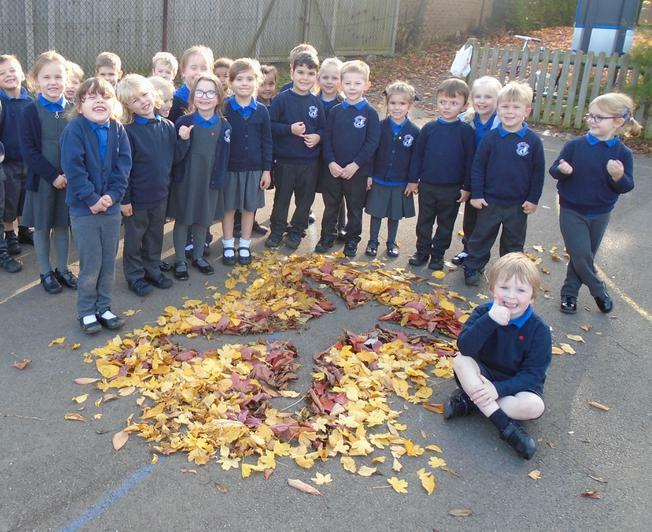 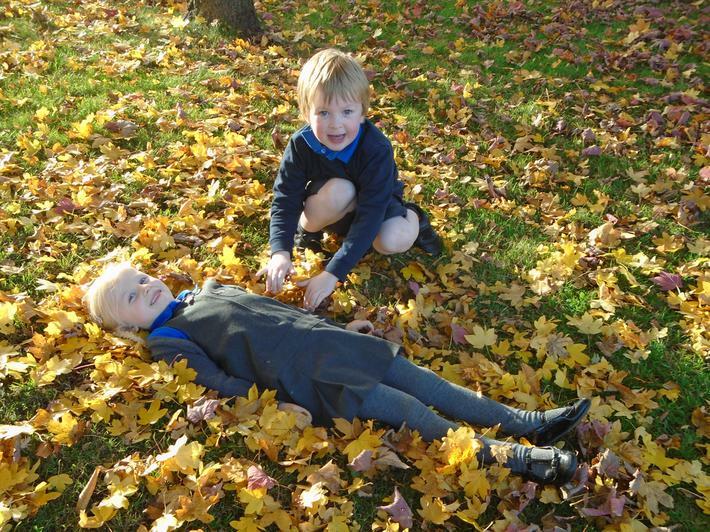 On a sunny autumn afternoon the children worked together to create large scale art using leaves. 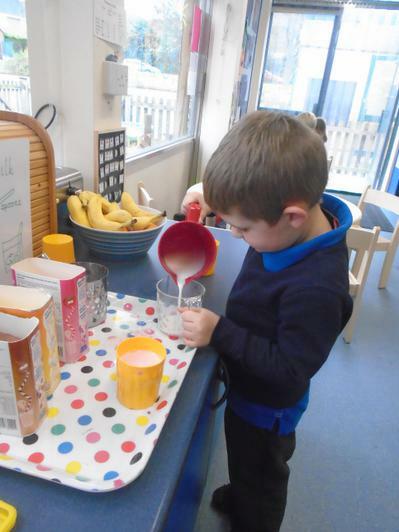 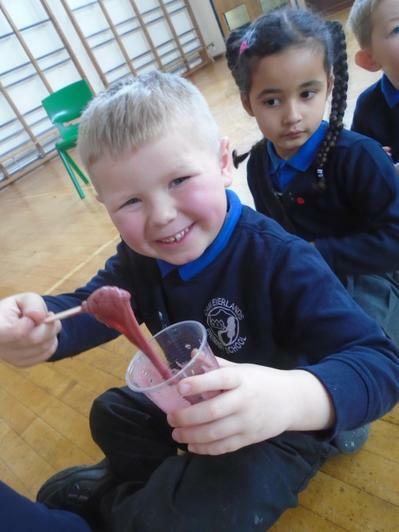 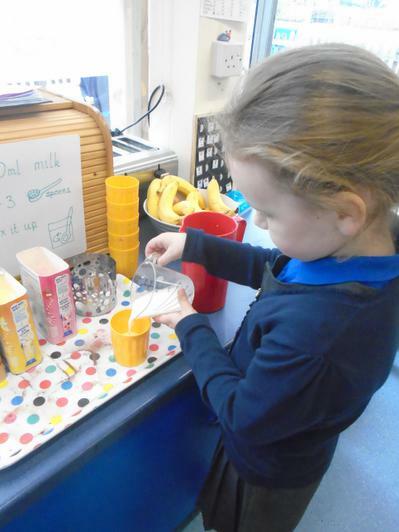 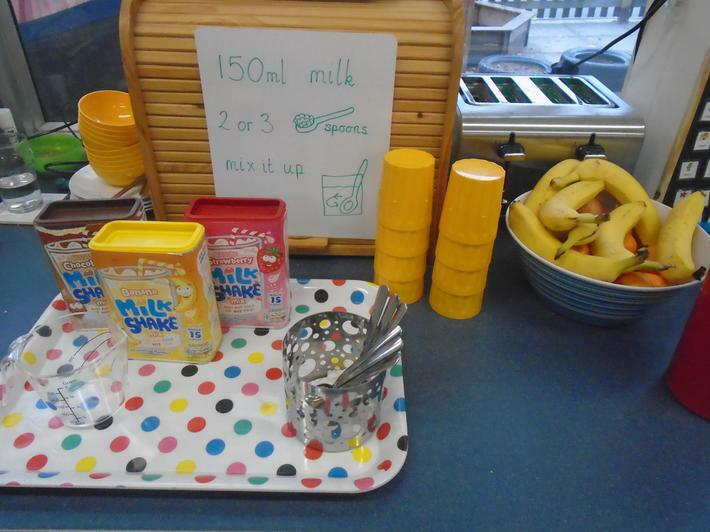 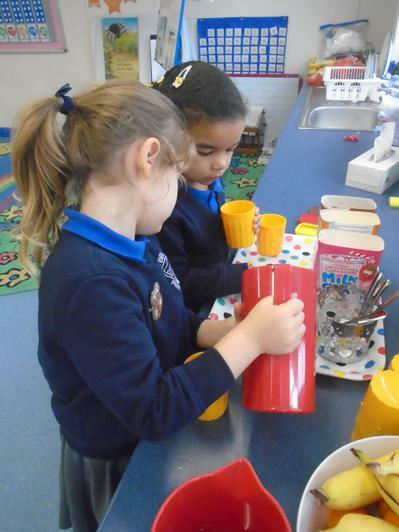 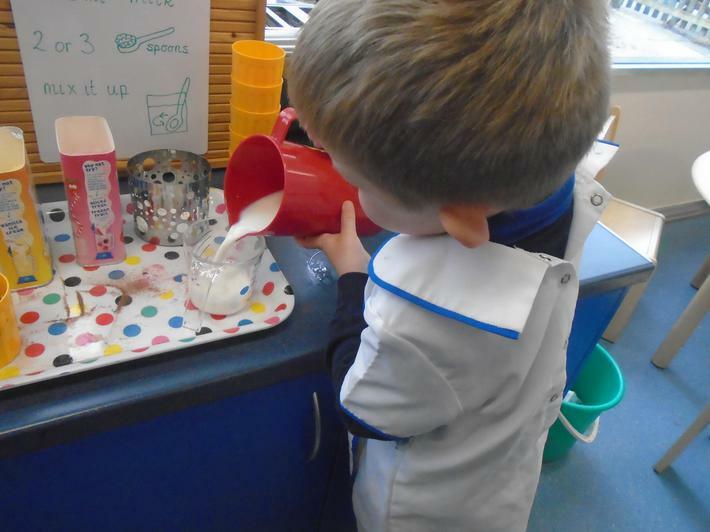 The children have had fun learning how to make their own milkshakes this week! 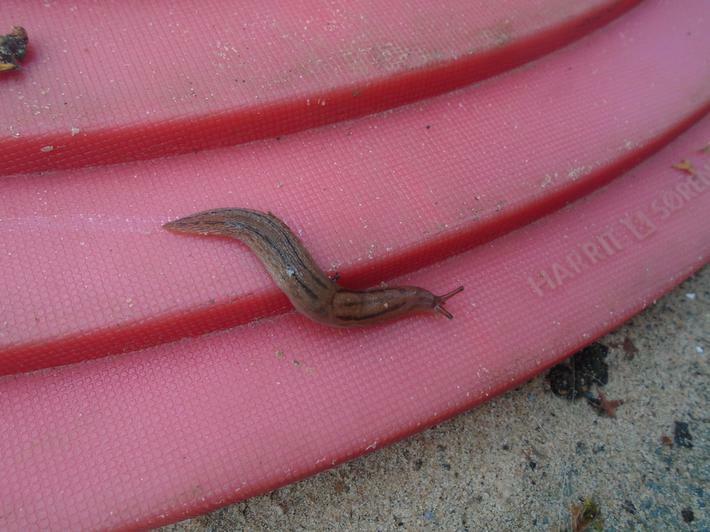 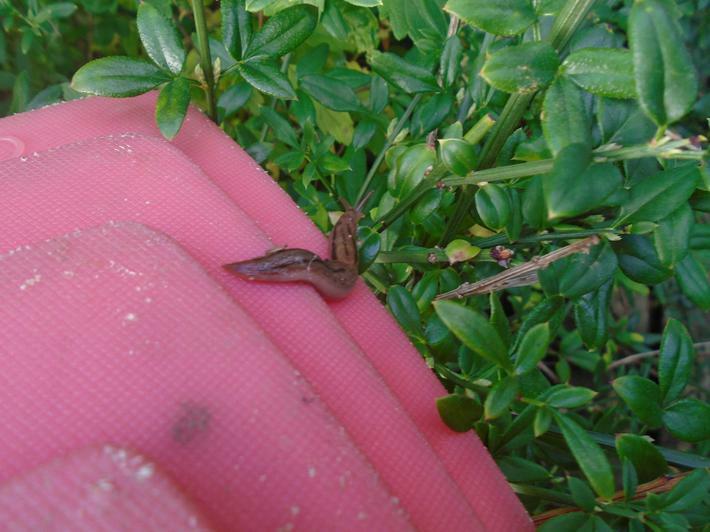 The children had a surprise lesson about habitats when they found a slug hiding in their toys! 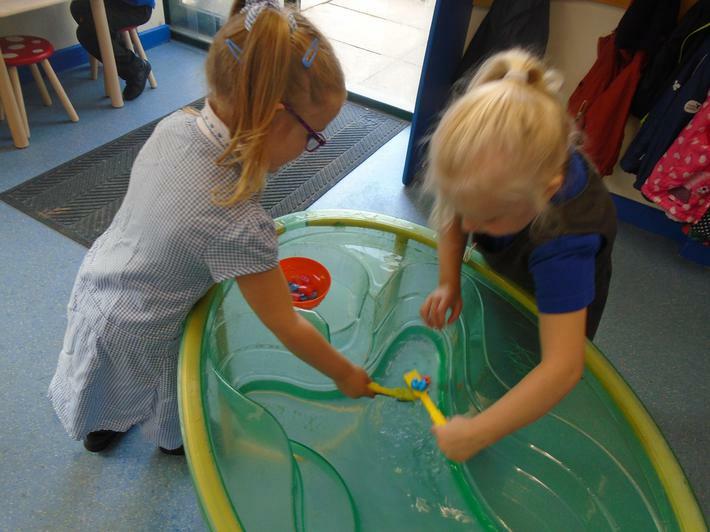 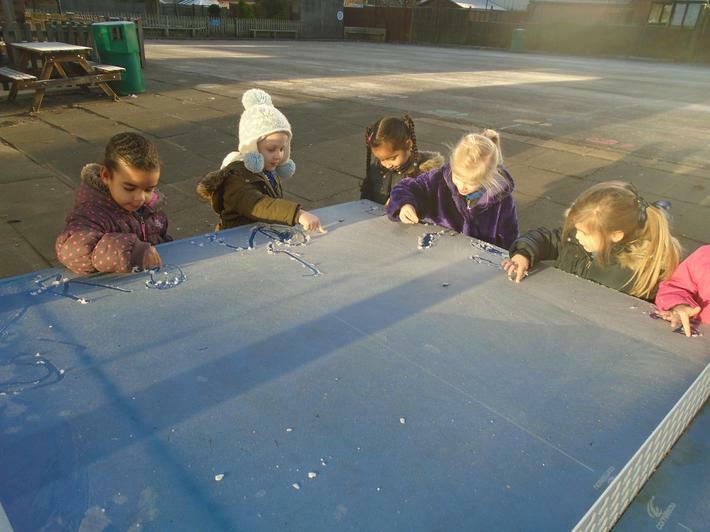 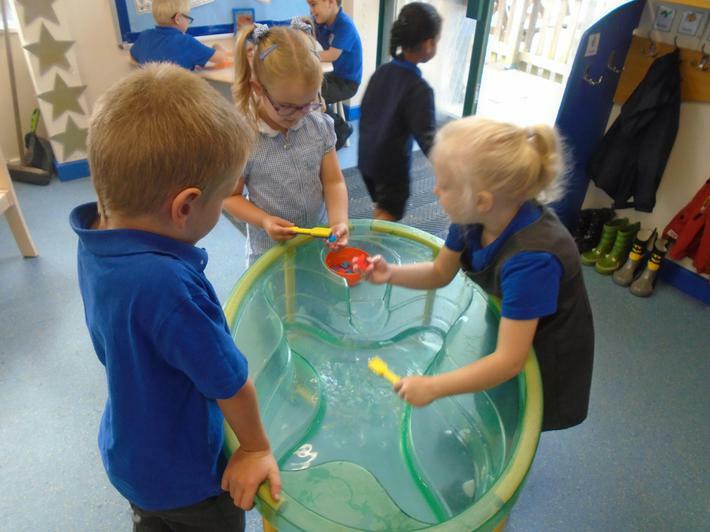 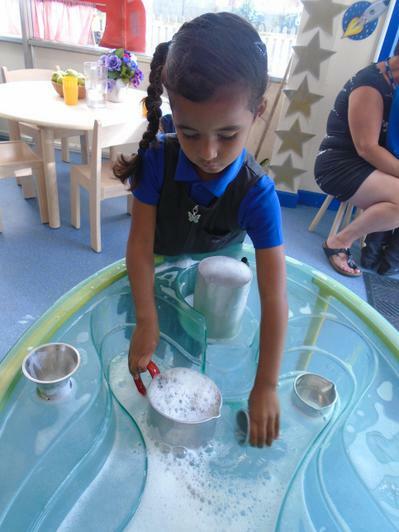 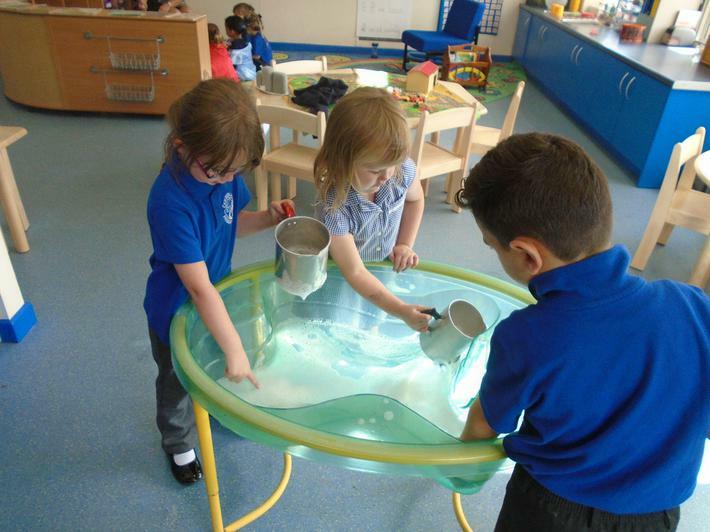 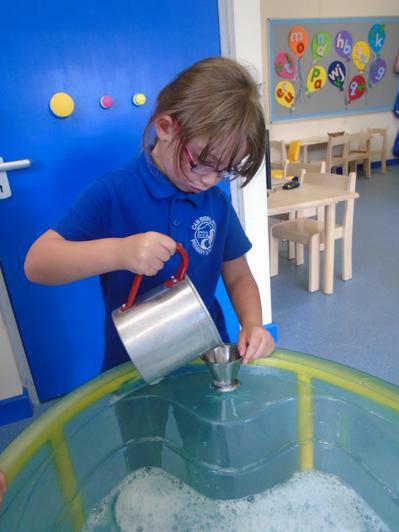 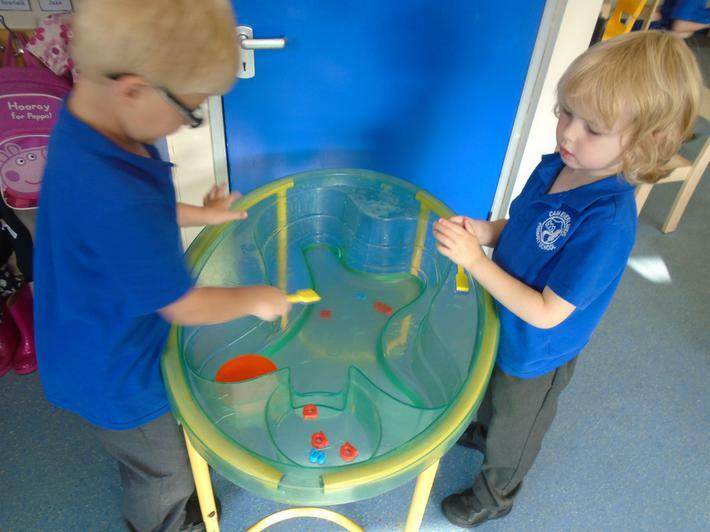 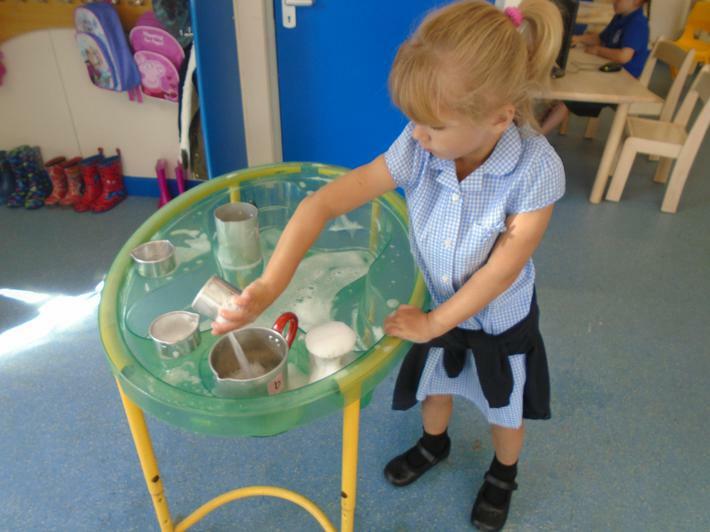 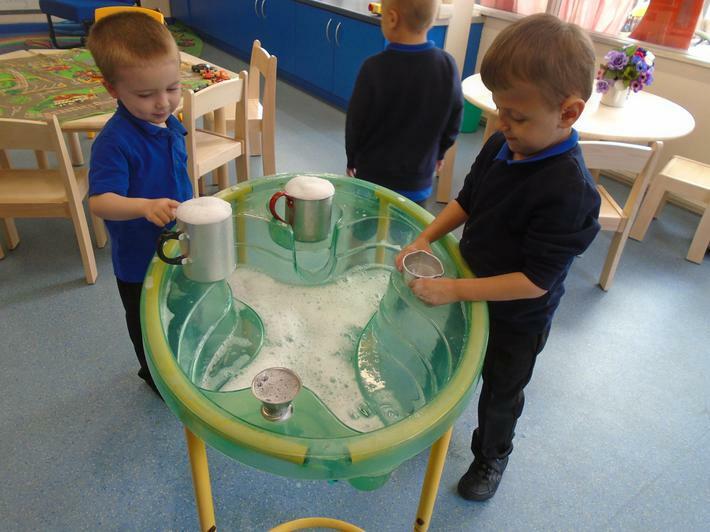 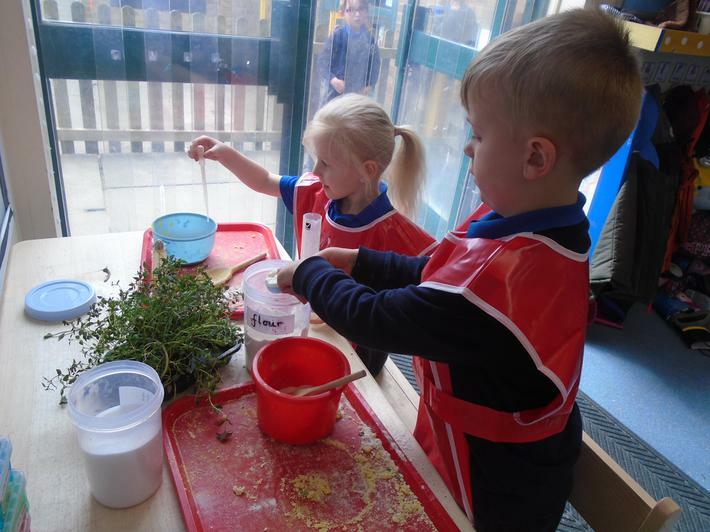 The children have enjoyed exploring capacity and 'fishing' for sounds in the water tray. 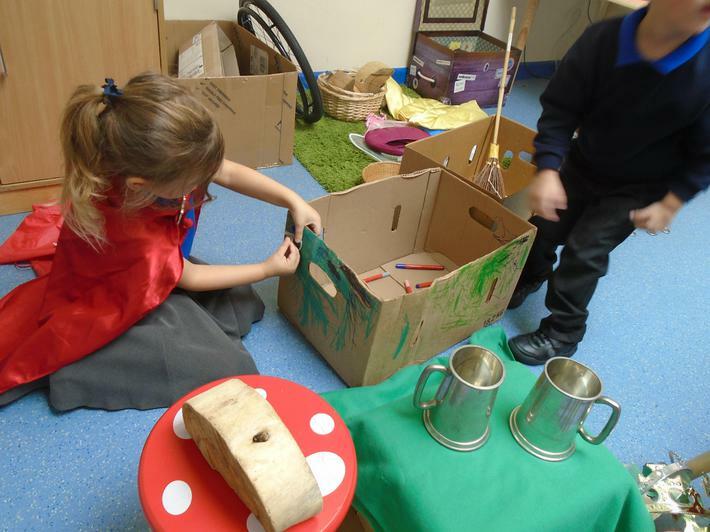 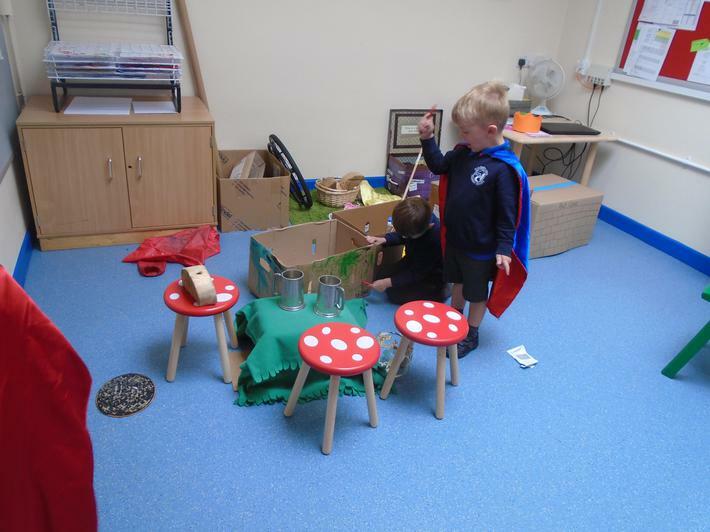 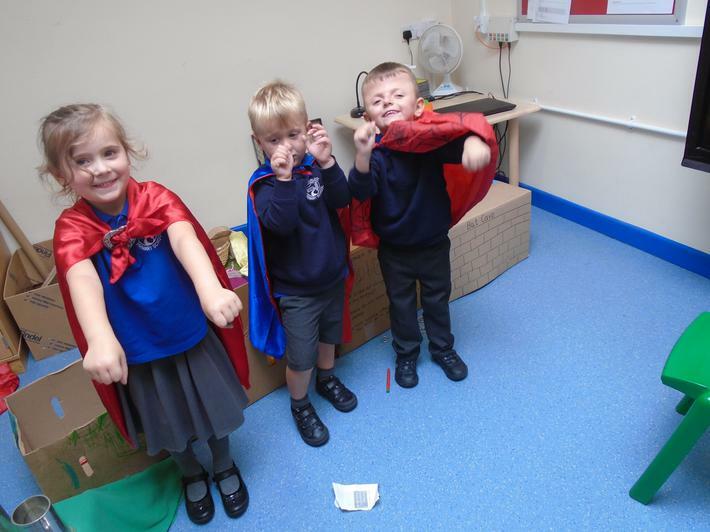 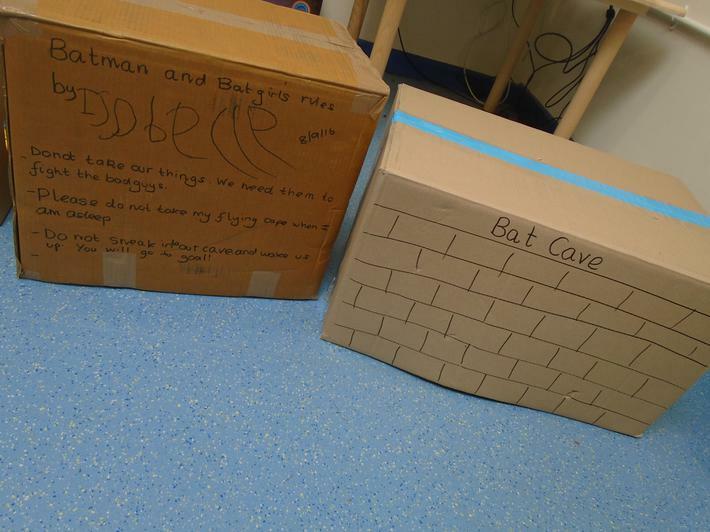 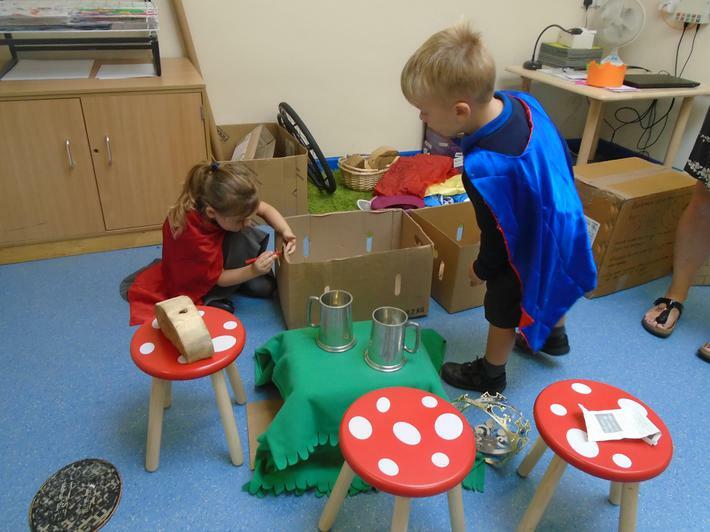 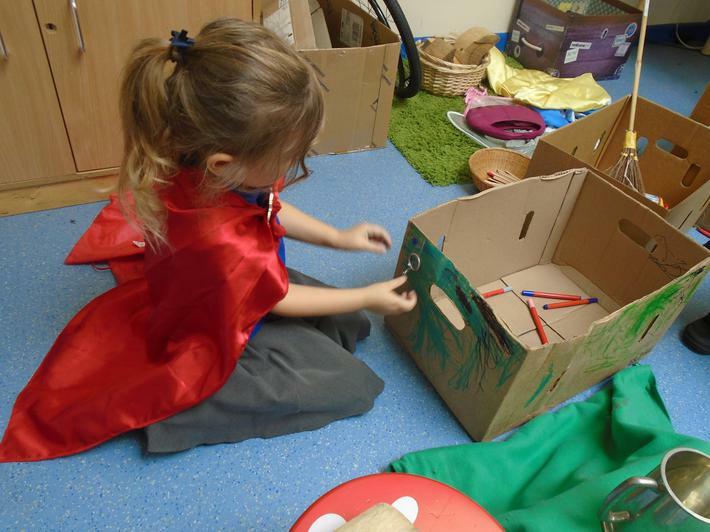 The children worked together to build a Bat Cave in our deconstructed role play area. 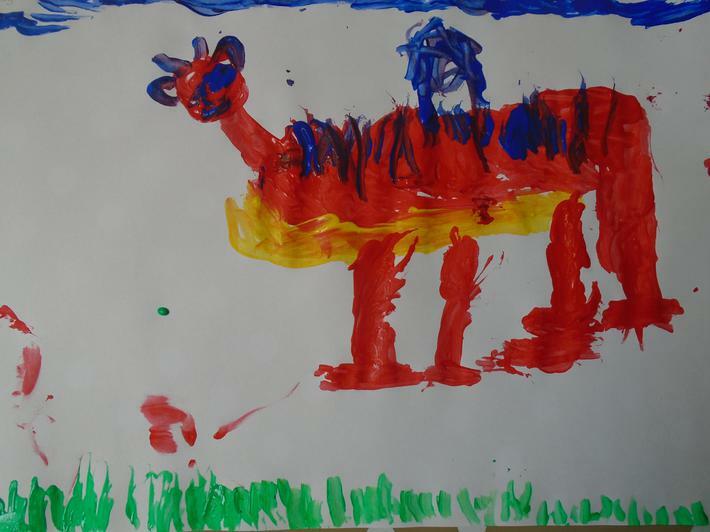 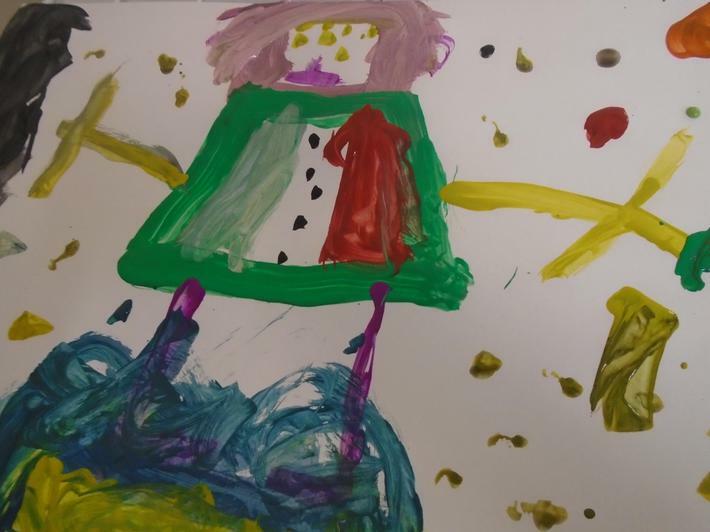 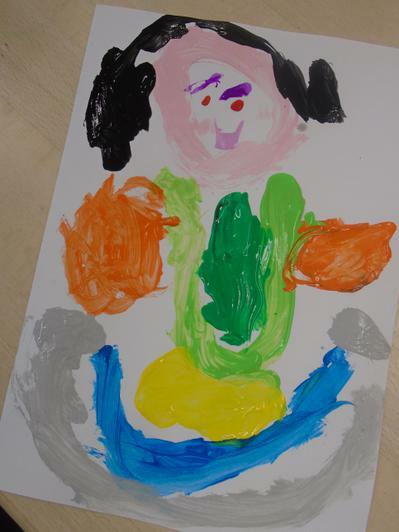 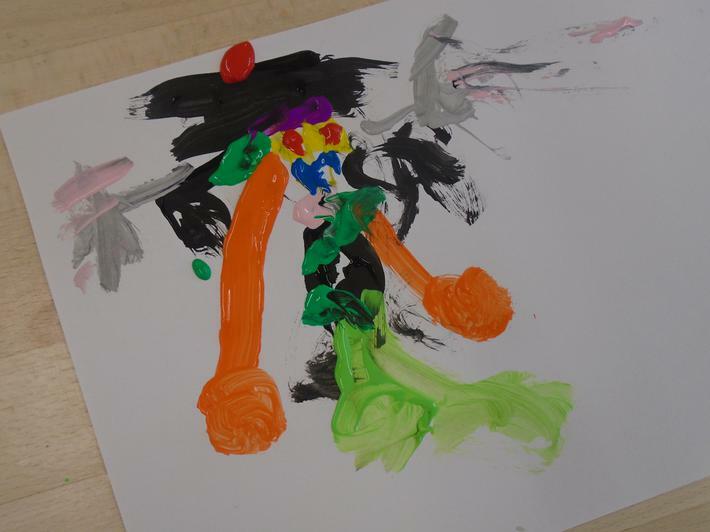 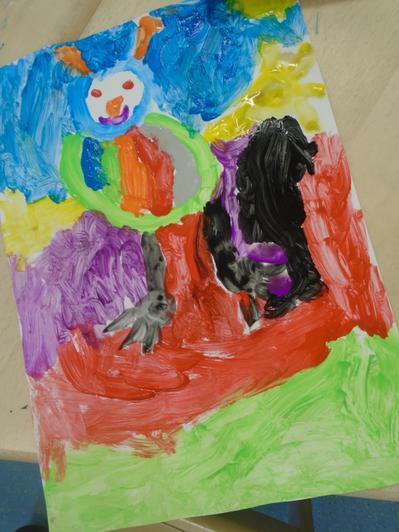 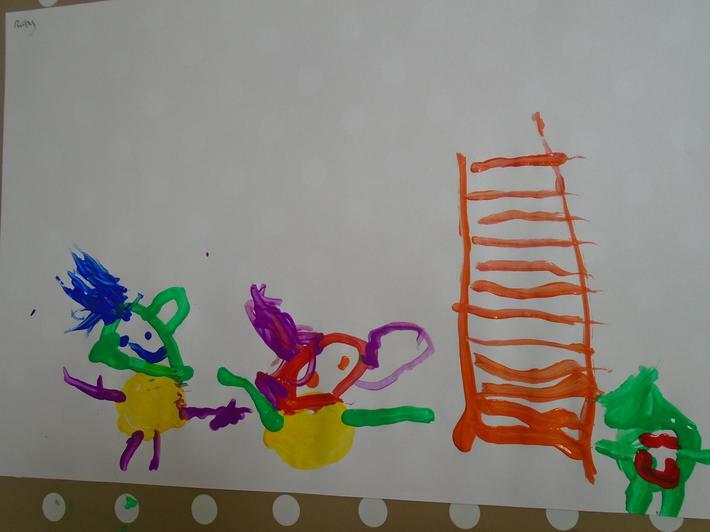 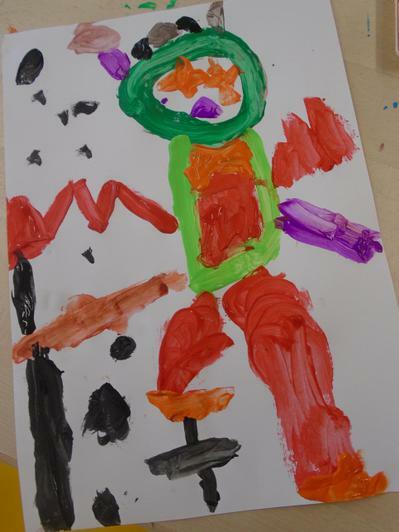 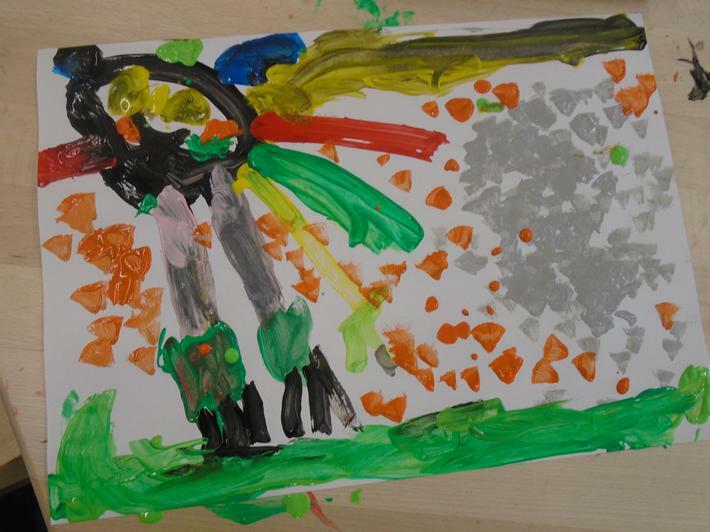 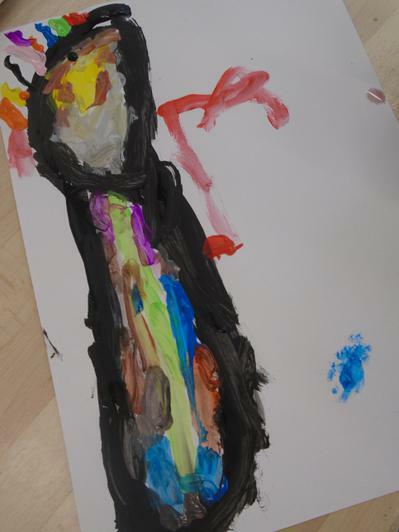 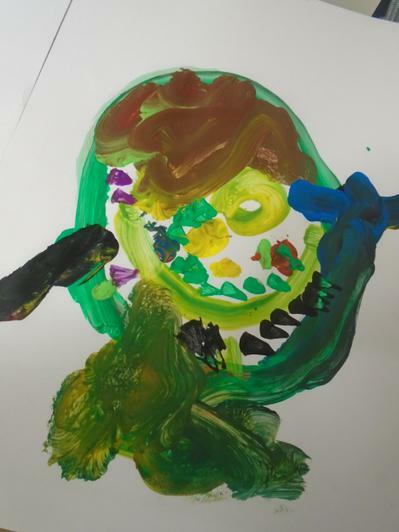 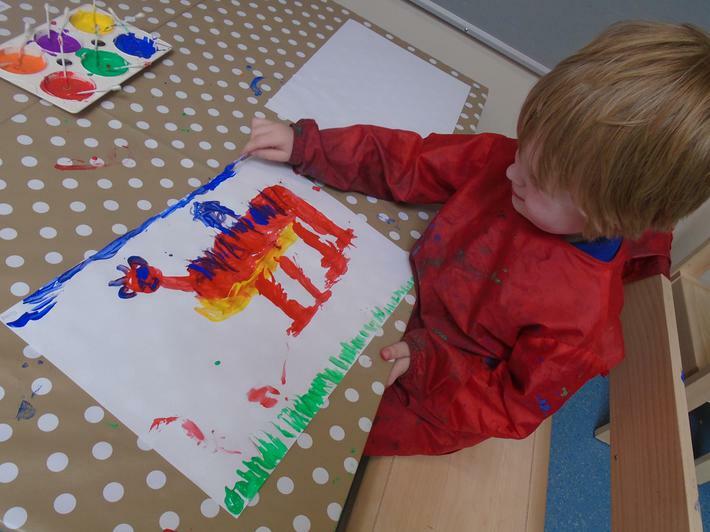 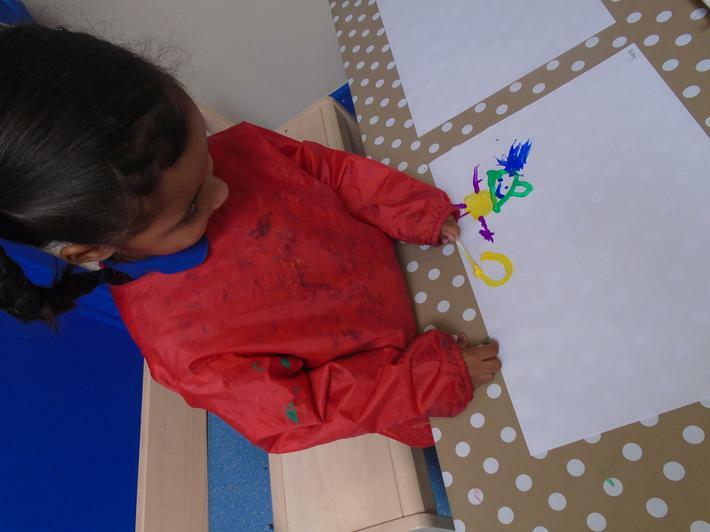 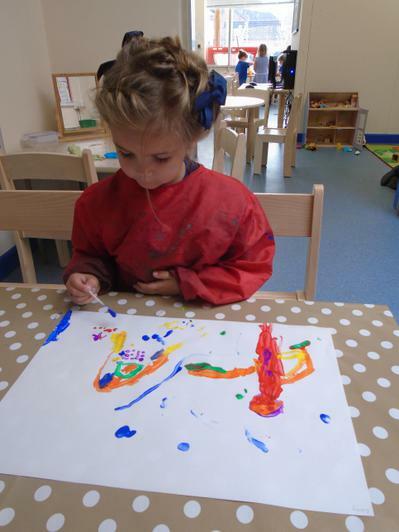 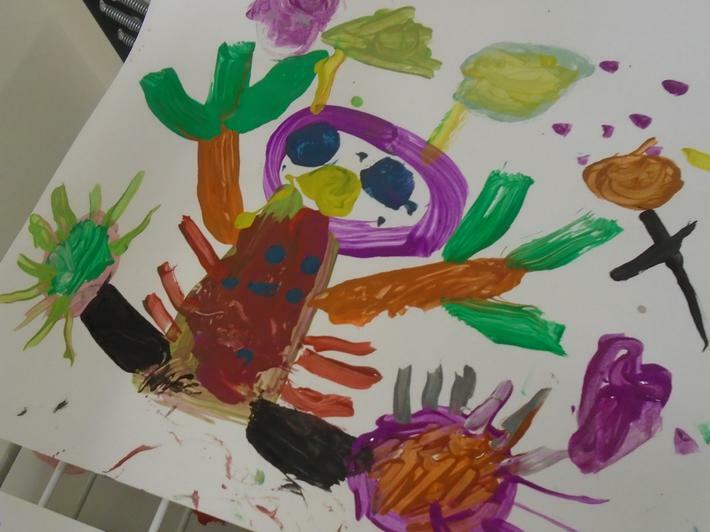 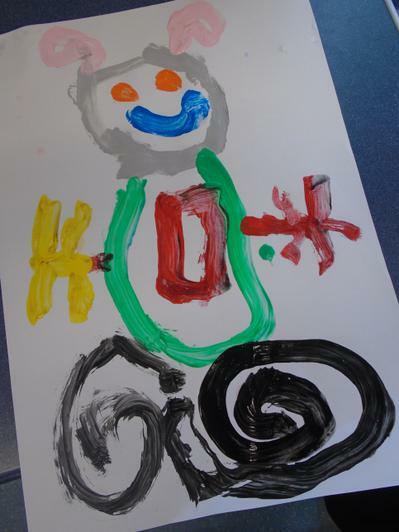 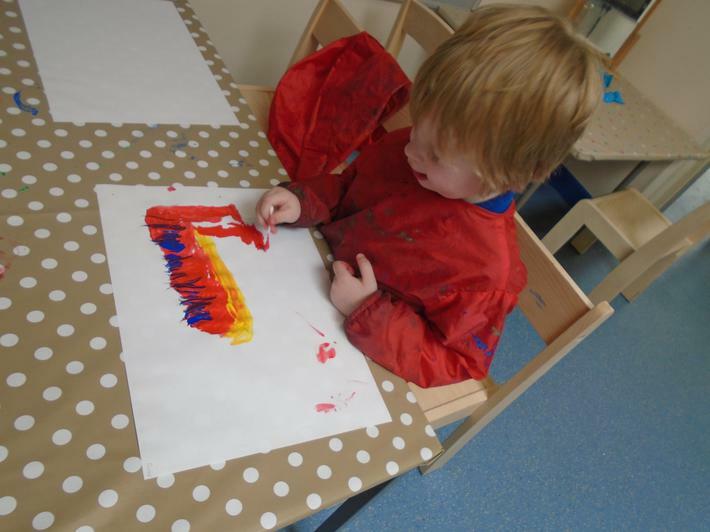 The painting area has been well used to make pictures of our family and even dragons!